Paul Stanley leads the crowd in the Pledge of Allegiance to honor all service men and women around the world. 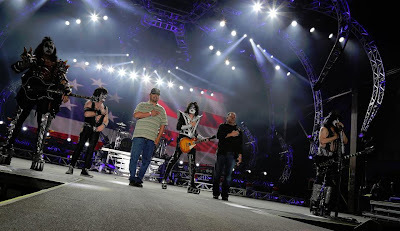 This took place during KISS' presentation of a new house to wounded Veteran, Roman Rivera. Photo by Dean Snowden for KISSONLINE.